Everything that surrounds my meeting with him has the color of shame. December, 1947. I was fourteen, steeped in vehement admirations and impatience for the reality to which I would travel once released from that long prison sentence, my childhood. 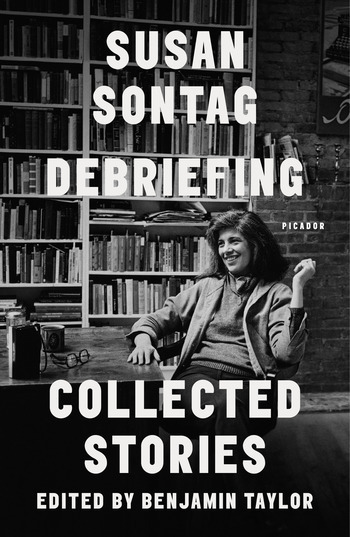 Susan Sontag (1933–2004) was the author of numerous works of nonfiction, including the groundbreaking collection of essays, Against Interpretation (FSG, 1966), and of four novels, including In America (FSG, 2000), which won the National Book Award. Benjamin Taylor is the author of his family memoir, The Hue and Cry at Our House, as well as Proust: The Search in the Yale Jewish Lives series; Naples Declared, a travel memoir; and the award-winning novels, Tales Out of School and The Book of Getting Even. He edited Saul Bellow: Letters and There Is Simply Too Much to Think About, Bellow’s collected nonfiction. Taylor is a past fellow and current trustee of the John Simon Guggenheim Memorial Foundation.